Anu Vardhan, costume designer of #Thala57 says she hasn't heard the brief narration from @directorsiva! So Thala's look is not decided! All the best to Sathya Jyothi Films, Siva & Team. it seems aksharahassan is to play an important role in the film. #Thala57 shoot starts in Bulgaria on Aug 2nd.. Will go on for 40 days.. Then, there will be a 10 days break.. Sep end, 2nd schedule starts.. 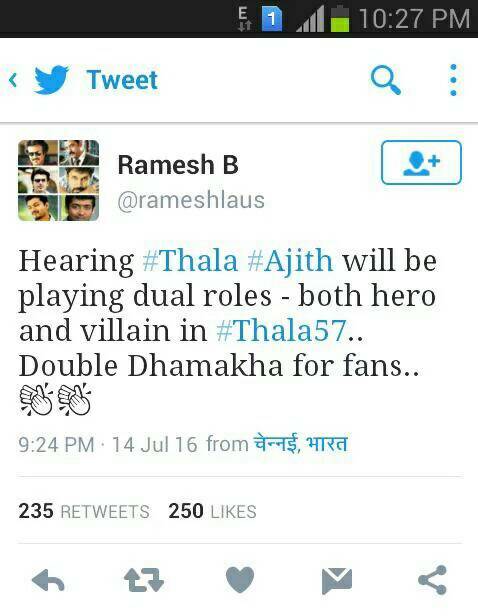 TEAM #THALA57 TO LEAVE FOR EUROPE TOMORROW!